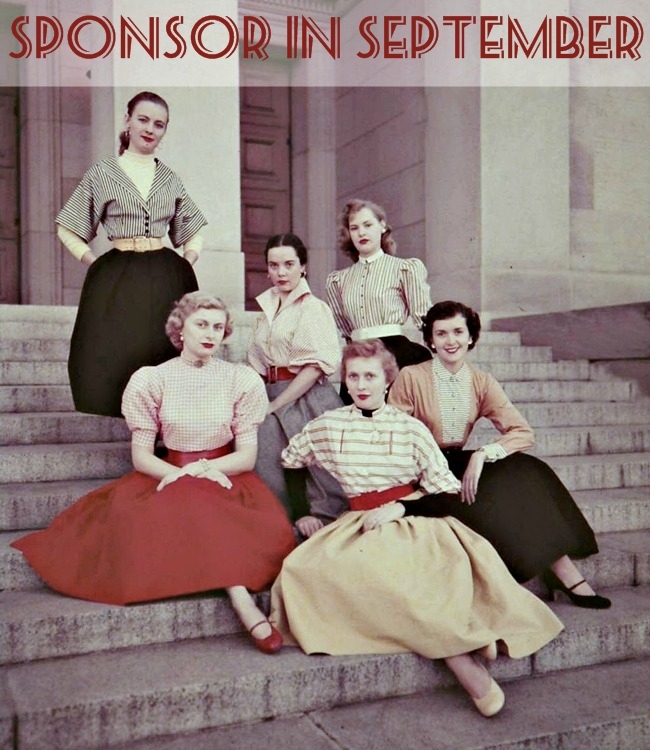 Va-Voom Vintage is now accepting sponsorship for September! Grab your September ad space for your blog, website or business with rates ranging from $10-$35 for the month. Ads sell out quick so if your ad size is booked, you can reserve for next month. In March, I started a new sponsorship program. 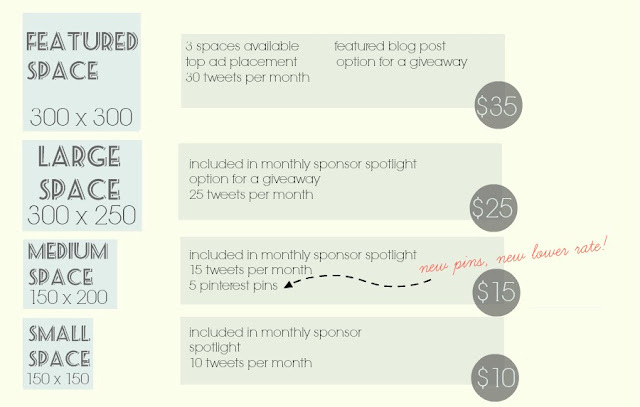 Each ad size now has its own package with details on what I do to promote your blog, business or website. Please view my media kit for all details and if you have any questions, don't hesitate to drop me an email! With the new blog design, I tweaked ad sizes to fit a little better. Also, the medium ad space is now $5 less and comes with 5 Pinterest pins per month! For more on where to find Va-Voom Vintage elsewhere, see my Press Page.